2014 Kentucky Derby at Churchill Downs. Put on your fancy hat – we are going to the races! 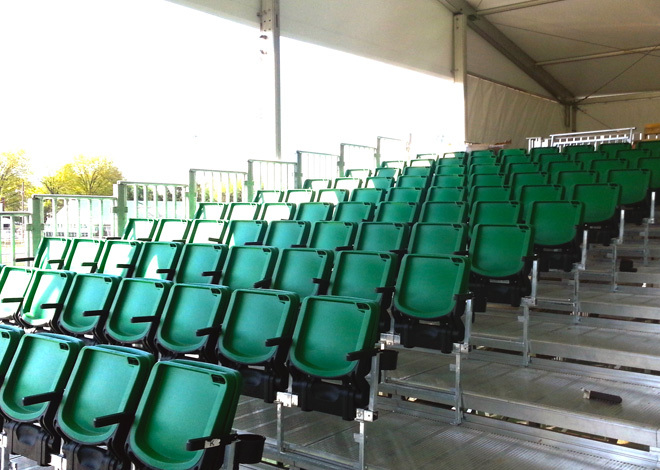 Our newest 903 box seat in Derby green was built on our Ultimate seating system using a 33” tread depth for greater comfort and leg room. 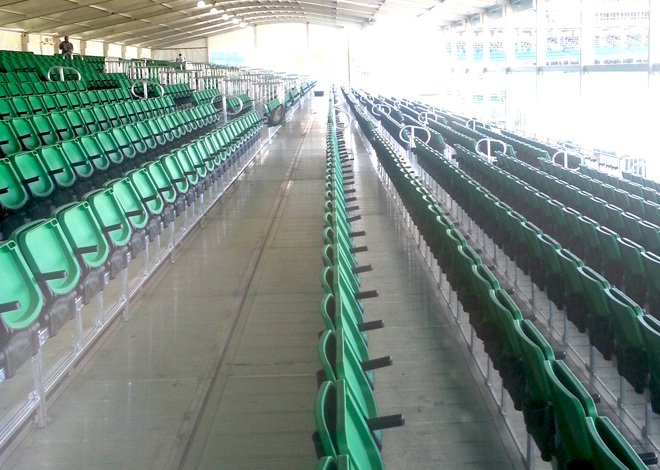 With over 3,000 box seats each guest was able to get a VIP experience with the new featured arm rests and cup holders. 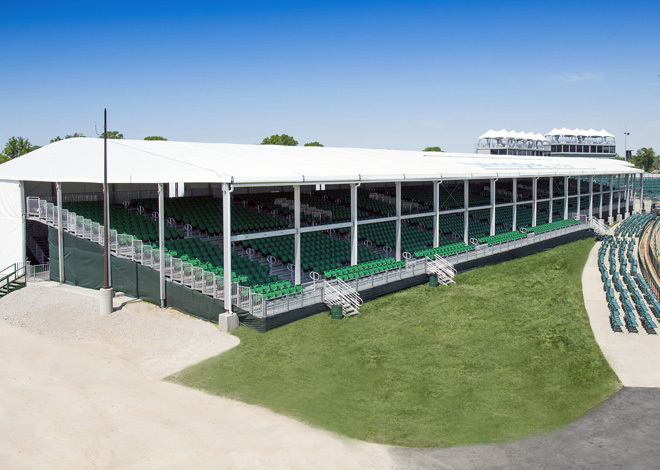 This system was built to marry into a seamless transition to the Eventstar VIP platform with tent coverage. 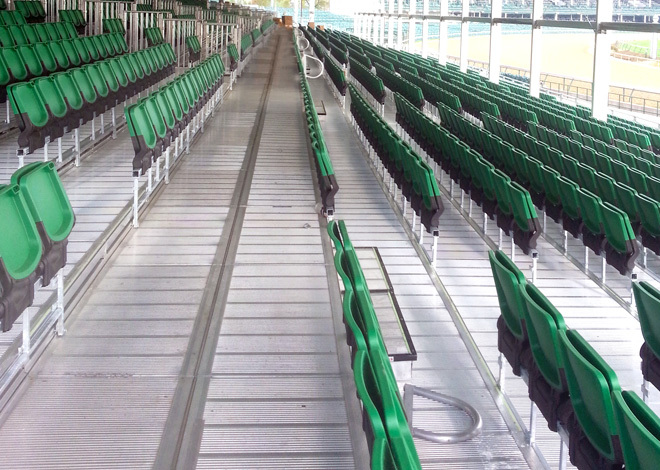 System is complete with required aisles, stairs and picket rails.